How To Make Smart Choices When it comes to traveling, people find it hard to maintain a healthy diet on the road. At other times, you are stuck in an airport, courtesy of delayed flights. On these occasions, the craving for junk foods such as cheeseburger and fries is strong, and you could be easily tempted to go for the cheap and fast meals. However, most airports have started providing healthier alternatives. Currently, at least one of the restaurants in the busiest airports offer a vegan meal. Depending on your destination and the means of transport, there are several preparations you can make to ensure you eat healthy during your trip. Here are some things to do before and during the journey. Most hotels in towns do not sell real food such as vegetables, and fruits since it is not as profitable as selling fries, candy bars, and snack cakes. Also, the food sold in most restaurants contains Gluten and other sensitive products. Before leaving your home, it is important to decide what type of food you will take while traveling. Identify the type of foods that are likely to make your journey uncomfortable. Know how much food you are likely to take on your journey in case you plan to carry packed foods. Depending on the distance you will cover and the space you have for carrying food, pack several perishable and non-perishable foods. Perishable foods should be carried in a cooler. Remember to carry gel ice packs to ensure your food is cold throughout your journey. If you want to maintain your food in a fresh condition, carry it in airtight plastic or stainless steel containers. Some of the perishable foods you can carry on your trip include raw milk cheese, pre-made salad, hard boiled eggs, and meats such as chicken and shrimp. Ensure you carry foods that can pass through security. If you are taking a long flight, dry foods are the best. You can also go for travel-friendly foods such as fresh fruits like oranges and apples, nuts, as well as seeds. If you have limited time to prepare food for the trip, you can go for the pre-prepared dietary meals such as NutriSystem. Unlike other diet programs, NutriSystem is low cost and has a good taste. There are several dietary plans from which you can choose. Some of the plans include NutriSystem Vegetarian, NutriSystem Advanced, NutriSystem D, and NutriSystem Nourish. The NutriSystem diet is rich in proteins but has low carbohydrates. To make the meal tastier, you can add your favorite nuts and muffins. When you travel with prepared food, you will need reusable plates, forks, table napkins, and a small knife. This will reduce the costs incurred to purchase plastic utensils during the trip. Choose hotels that provide a mini-fridge in the lodgings. You will house healthy foods in your room and also save some dollars by bringing your meals as opposed to eating at the hotel. If you are searching for a hotel to spend your vacation, search for hotels that are close to grocery stores. The closer the market, the more the chances of maintaining a healthy diet. When taking meals at the hotel, use the menu to see the meals offered in the hotel. You can also search for hotels that provide paleo diet before. During your trip, it is advisable to carry a bottle of pure water from home. Public water supplies can contain unwanted toxins and parasites such as giardia. Also, bottled water is not a safe option. Research shows that 25 percent of the bottled water is merely tap water, sometimes without further treatment. Before traveling, survey the airport restaurants and the meals offered. Most of the nutrition information is available on the airport’s website. Some of the airports go an extra mile and list the healthy meals available at their restaurants. If you are late and cannot take a full meal, there are healthy snacks you can grab at the airport’s store. No matter how strong your craving for junk and unhealthy food is, you can always suppress it as you travel. Avoid fast foods as they will make you feel sluggish and lazy, which is not the right mood for a trip. Avoid a bottle of alcohol or limit the amount you take at the airport bar. Alcohol will make you dehydrated and sluggish. Sometimes it is inevitable to eat out when traveling. However, do not throw away all logic when dining at a restaurant. Taking too many wrong things could lead to stress, which is the last thing you want when traveling. Stress impairs the digestion process leading to stomach upset and weakening of the immune system. Today, many individuals take a close look at luxury wine tours when considering an upcoming vacation. They like the idea of tasting the latest wine creations and expanding the list of favorite wines they enjoy every day as well as on special occasions. They want to travel to a different place to experience something new. They want to talk to the people who make the wine to see what is involved in the process. If you are planning to go on a wine tour, there are many things you can do to make the most of your trip. 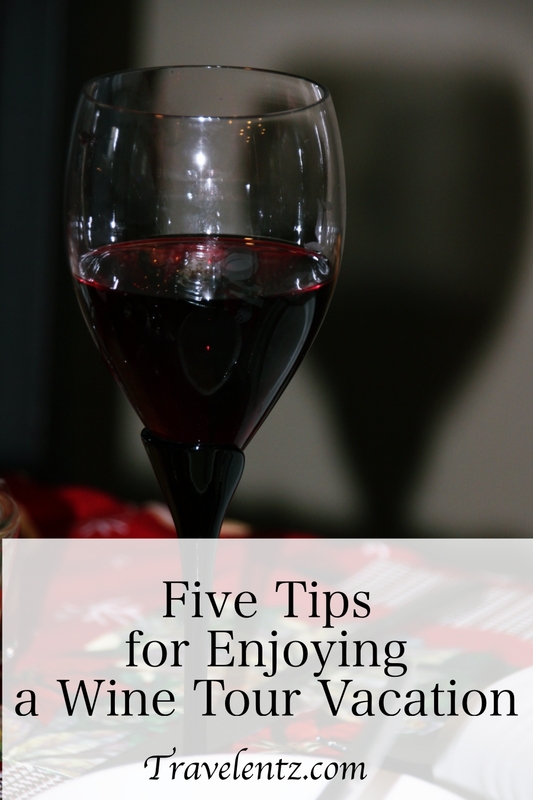 Look at five tips to help you enjoy your wine tour. Maybe you’re used to drinking wine with a dry, crisp taste or perhaps you always choose red wine over white. Being open to new experiences helps you get the most out of a wine tour. If you always buy wine with a mild, dry taste to it, try a few fruity wines on the tour. You may discover you love fruity wines. A wine tour is the perfect opportunity to expand your tastes in wine. A big part of the fun of taking a wine tour is exploring the area where the wine is made. This means going beyond the vineyard. Perhaps there is a small town located near the vineyard where craftspeople gather to sell their creations. Or, maybe there are specific spots where you can fully enjoy all of the natural scenery in the area. Chances are, there is a restaurant that serves cuisine that is popular among the locals. Maybe the area is famous for a landmark, a gathering of mountains or a lake. Venture away from the vineyard where you’re taking the tour to observe the wonderful scenery all around you. Set a Budget for Buying Keepsakes On a wine tour or any other type of vacation, it’s tempting to purchase a lot of keepsakes to take home. You could end up with a box of t-shirts, key rings, mugs and postcards you don’t really want. This sort of shopping can drain your vacation budget. So, before leaving on the trip, establish a budget for keepsakes. This gives you the opportunity to purchase meaningful keepsakes without regretting the money spent on them. One or two keepsakes with some meaning behind them are a great takeaway from a fun wine tour. Select a Few Appealing Tour Events If you have dozens of activities listed on your wine tour, it’s best to go through the list to choose what you’re most interested in. After all, you want to spend most of your vacation focusing on what you’d really like to see and experience. So, before leaving, take the time to sit down with the tour itinerary and make a mark next to activities that sound fun to you. Also, you can ask the tour guide about the various activities to get his or her personal opinion on the most unique experiences. Travel with a Friend Generally, going on a wine tour with a friend is more fun than taking the tour on your own. You can discuss the different wines with your friend and hear his or her point of view about them. Also, you’re likely to enjoy the shops, restaurants and other entertainment when you’re traveling with someone else. In addition, traveling with a friend to an unfamiliar area may help you feel safer while you enjoy the many activities and experiences on the tour. Lastly, taking the time to research wine tours before choosing one can help you and your traveling companion end up on a vacation that is all you want it to be. Consider the wine tour itself, the areas where the vineyards are located and the time of year when making your decision. You may enjoy the getaway so much, you want to go again next year! You don't have to go overseas to enjoy a crazy vacation filled with adventure and excitement. In fact, some of the world's best destinations are right around the corner. Here are just five travel locations in the U.S. that you should definitely put on your bucket list. It's the city that never sleeps. With so much to see and do, there's no time for it! Whether it's sightseeing in Times Square or taking a guided tour to the Statue of Liberty, there's no limit to the attractions in NYC. The hardest part of your vacation will be fitting everything into one trip. They're called the "twin cities" for a reason. Nestled together by a number of bus routes, you'll have no problem traveling back and forth as you enjoy all kinds of shops, theaters and restaurants. They're especially fun to visit in the wintertime when the ice-carving competitions begin. Palm Springs is one of the premiere destinations of California. Contrary to popular belief, you don't have to be a millionaire to enjoy its sandy beaches and gleaming resorts. Just book in advance for places like the Palm Desert Golf Course. You'll guarantee your spot get a discount for the advanced sale. Home of some of the best barbecue in the country, Memphis is a great place to enjoy the comforts of the south. Its food, fun and blues music seeps into every part of its culture. It's even the location of Elvis Presley's greatest mansion! A trip to Memphis isn't complete without a trip to Graceland, so make sure to pencil that in, too. Take a walk on the wild side with a trip to Las Vegas. The casinos are only the beginning, especially if you have the cash to indulge in high-class restaurants and symphony halls. It might not be a budget experience, but it's one that you'll never forget, so it's worth the splurge. After all, how many times in your life will you visit the famous Las Vegas? 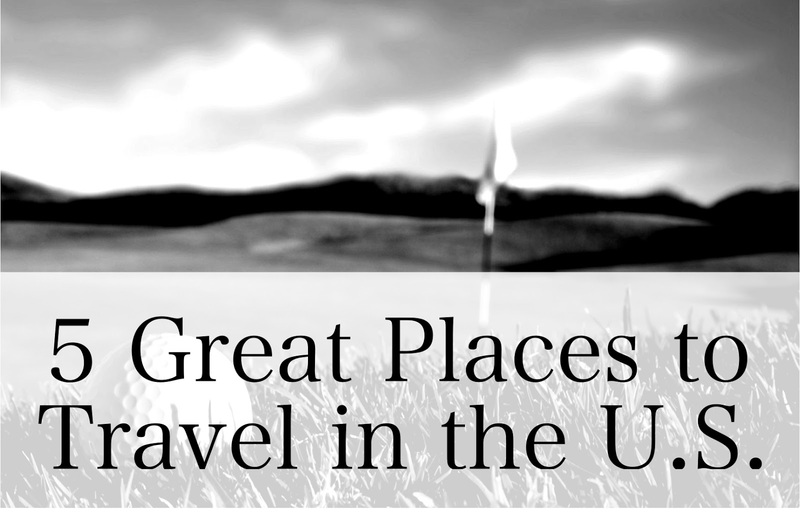 These are just a few of the best destinations in America. Whether you're hoping to drink, golf, skate or chow down on some old-fashioned barbecue ribs, these cities will welcome you with open arms. Have fun! If you love going away, either as a family or alone, you may be considering buying or renting a holiday home. It makes sense; why spend a fortune on accommodation each time? This is also the ideal way to get the most from your flights. You won't have to worry about leaving after a week or two; you can stay as long as you like. You could either go down the timeshare route, pay for a house upfront, or opt for a temporary rental to see how a holiday home suits. Whichever path you choose, it’s crucial you take time deciding which destination you’d like to frequent. Most families have their favorite holiday spots, so these should be top of your list. But, there are some other crucial considerations to take before buying. As you’re going to spend a lot of time here, consider how quickly you could settle. Think, too, about property costs, and cultural issues such as language barriers. Sound like a lot to take in? It is, which is why we’re going to look at some of the destinations which could suit your needs. Obviously, these will vary for everyone. But, this list should at least give you some idea of what to look for. Spain is an obvious hotspot for holiday homes. If you choose the right area, you can be sure to enjoy the sun no matter what time of year. Costa Del Sol, for example, can enjoy days of 18-degree heat at the height of November. Admittedly, that isn’t always the case. For the most part, though, you'll be in for warm temperatures. Another plus point with buying here is that the tourist industry is thriving. You would have no trouble renting out a holiday home if you buy it upfront. Plus, the majority of Spanish locals know at least some basic English. This can make things much easier to start. That said, when you holiday in the same place each time you go away, you should soon pick up on the language! 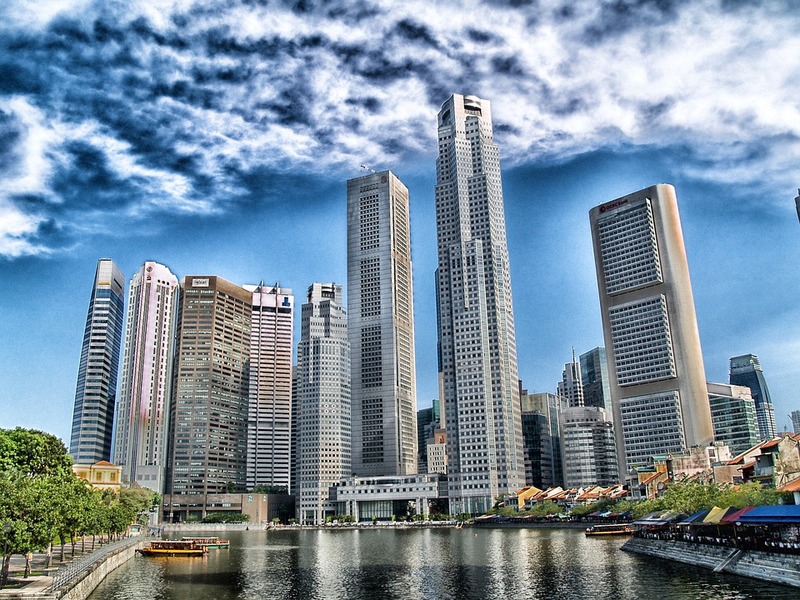 Singapore is another area worth your attention. If you rent house in Singapore, you can enjoy a whole new culture without communication issues because English is one of the official languages here. This could be a massive help during the deliberation stages, and during proceeding vacations. You can be sure that you won’t get bored here, no matter how many times you visit. There's a multitude of things to experience. There are various museums, including the Singapore Art Museum and Mint Museum of Toys. There are also fantastic family activities to keep the kids happy, such as a Kidzania, the 81,000 square feet kid-sized city. A holiday home here is sure to keep the suit everyone. In keeping with the idea of English as an official language, you might want to add England to your list. It may not be what you had in mind when you first thought of investing in a holiday home, but it could serve your needs. Though relatively small, England has a lot to boast of. There are the rolling Cotswold Hills and historic sites like Stonehenge. That said, this certainly isn’t the place for fun in the sun. During the winter months, this destination is usually down around the 3-degree mark. Even summer here isn’t that hot, with weather rarely reaching above 22 degrees. If you aren’t one for the sun, however, this is the location to head to. Or, even if you just fancy a quiet retreat in the country, England has got you covered. 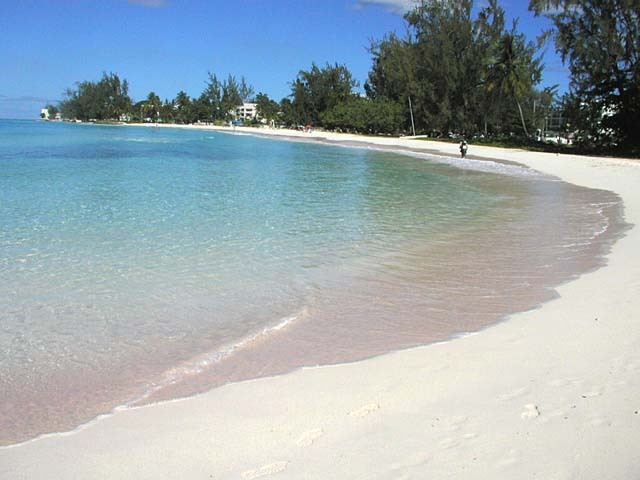 By stark contrast, you could head to the white sand beaches of a Caribbean Island such as Barbados. If you thought Spain was good for all year round sun, Barbados has got you covered with an average of 32 degrees, no matter what time of year you visit. Even better, there are no restrictions on outsiders buying property, other than a requirement to inform the Bank of Barbados. The main attraction here are the beaches. If relaxing holidays by the sea are your idea of fun, this may well be the place to invest. Plus, you’ll be close to fantastic sites such as Animal Flower Cove, where you can enjoy open caves and amazing sea life. It may not be the ideal destination if you want to keep the kids amused, but romantic escapes don’t get much better. Of course, there’s nothing to say that your holiday home has to be in another country. You could stay right here in the U.S. with a getaway in our very own sunshine state - Florida. There are plenty of reasons to keep things close to home. When you don’t have to worry about flights, you can head away on a much more regular basis. Plus, anywhere that boasts a title of ‘Sunshine State’ promises to be a pretty safe bet when it comes to weather. Some years, the weather here stays above 35 degrees, making this an even warmer bet than Barbados. Who would’ve thought? This is also the ideal destination to pick if you have kids to consider. Hopping on a flight more than once or twice a year can be pretty traumatic for them. By comparison, a quick car journey down to Florida will be much easier to bear. 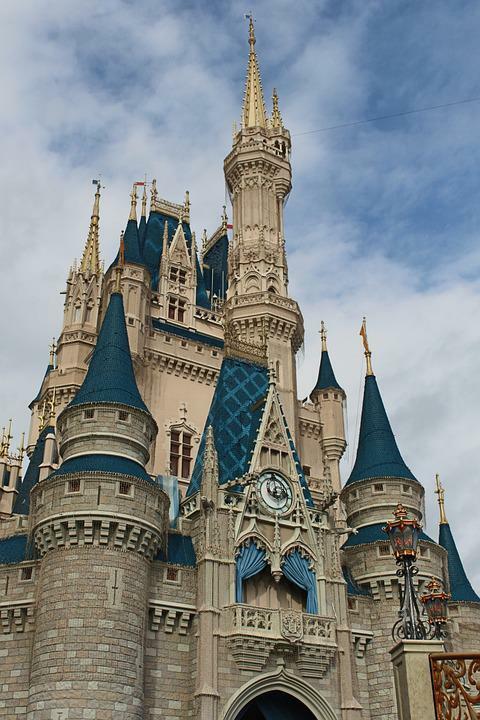 Not to mention that this destination comes complete with the ever-iconic Disneyland. Being able to head for a weekend here whenever you fancy is sure to impress. So, there you have it. A few selections to suit different needs. If none of these sounds like they would fit your lifestyle, sit down and consider what you’re after. It may be that sunshine is your priority, or that your kids come first. Write out a list, then find all the countries which would suit your needs. Then, start to narrow it down by looking into things like house prices, and cultural differences. In no time, you should have a second home you can call your own.